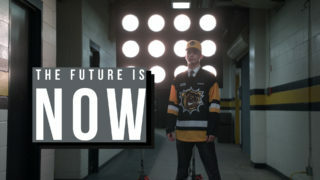 The Hamilton Bulldogs selected Lawson Sherk with their 2nd round pick (40th overall) in the 2019 OHL Priority Selection presented by Real Canadian SuperStore. 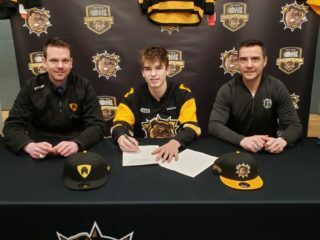 Sherk, a 6-ft-175 lb ceterman, played last season for the Halton Hills Hurricanes Minor Midgets where he scored 16 goals and added 35 assists for 51 points in 32 games. 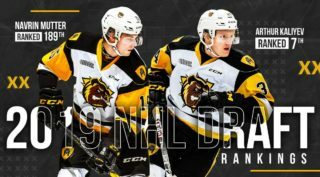 OHL Central Scounting describes Lawson as a big, two-way centre that is always competing and playing hard. He is a powerful skater with a nice, long stride and is an unselfish player that makes everyone around him better. Sherk is the leader of his team and doesn’t take any short cuts in any of the three zones. 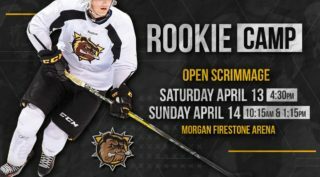 He is tough to handle in open ice as he has good one-on-one skills and sees the ice well. Lawson has a heavy shot that finds the back of the net on a regular basis.